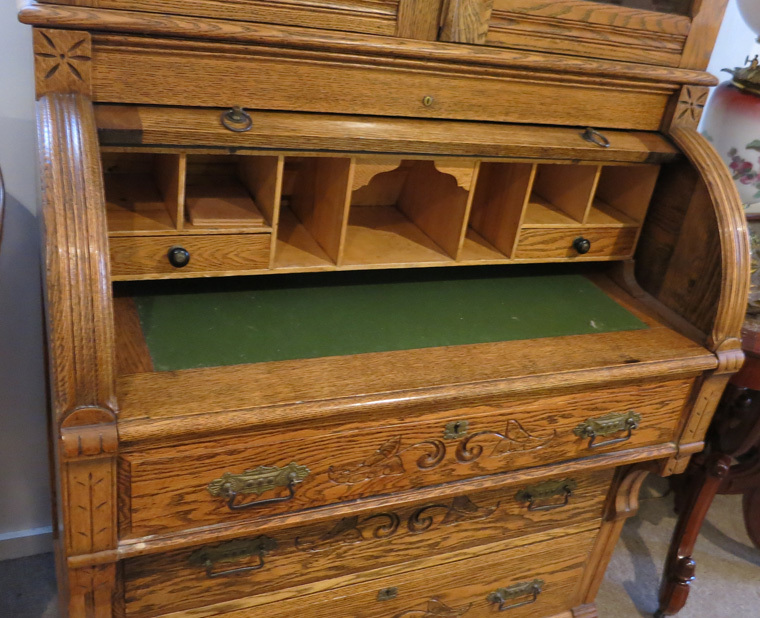 Tiger Oak Cylinder Roll Secretary Desk -- This is a wonderful tiger oak secretary with a cylinder roll desk. 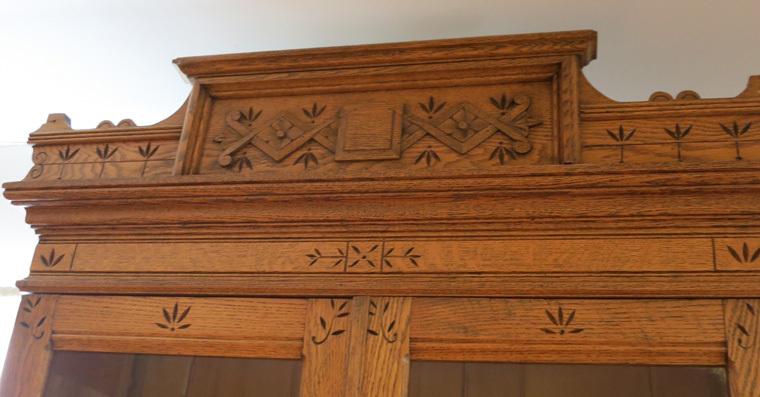 It is circa 1890, Eastlake, with chipped carvings throughout. Its not ornate - its beautifully elegant. 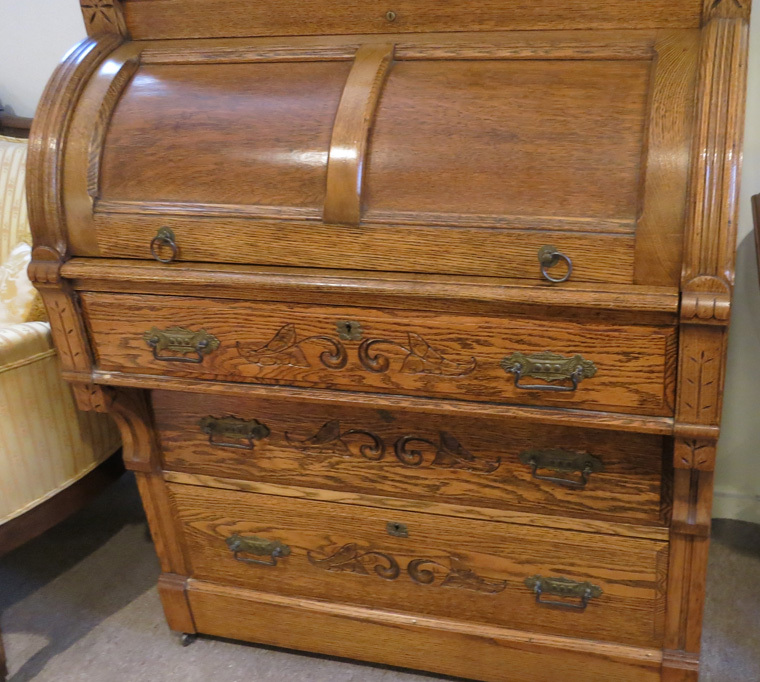 It measures 92" tall x 36" wide x 22" deep and is in absolutely beautiful condition. It comes apart in two pieces for moving. The graining on the wood is the best of its kind.